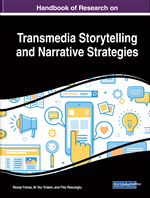 The purpose of this chapter is, as a self-regulated learning tool, to focus on digital storytelling by uncovering relationship between digital storytelling and self-regulated learning process/based on research findings made in the its field. Within this focus, firstly, concept of digital storytelling was theoretically addressed; researches made in learning-teaching for use have been presented; later, self-regulated learning processes and strategies have been defined and given examples. Finally, research findings on the use of digital stories as self-regulated learning tools have been shared. With the use of information and communication technologies in educational environments, there are various opportunities for individuals to express themselves better, to recognize their own potential and to develop themselves in different fields. In today's society, new skills and competences required students to prepare their work environment and life is the focal point of both the education and business world. Because in real life and business environments, using competencies such as communication, problem-solving and critical thinking, creativity and collaboration is an obligation. These skills and competences associated with knowledge management and technology, including selection, integration, analysis, sharing and achievement of knowledge, are also important in terms of 21st century skills. The 21st century skills of learning and innovation skills, knowledge, media and technology skills and life and professional skills require individuals to be critical thinkers, creative thinkers, individuals who use technology effectively and efficiently in these thinking processes and practices. In this context, different learning-teaching approaches, methods, techniques and technologies are used in the training of individuals who have these skills and competences. When the literature is examined, it is emphasized that self-regulated learning and digital storytelling process can be effective in bringing these skills and competences to the students (Jakes & Brennan, 2005a, Robin, 2008, Wolters, 2010, Yuksel, Robin, & McNeil, 2011, Lüftenegger, Schober, de Schoot, Wagner, & Finsterwald, 2012, Yang & Wu, 2012, Karakoyun, 2014, Kotluk & Kocakaya, 2015, Niemi & Multisilta, 2016, Karlen, Compagnoni, Hirt, Suter, & Maag Merki, 2016). Simple or complex, stories, used to describe real life or fantastic events and situations, both because they have a fun structure and because they make the emotions move it uses from communication to instruction in many area, are used in many area (Kearney, 2011; Kocaman Karoğlu, 2015, Turgut & Kışla, 2015, Yüksel Arslan, 2016, Bedir Erişti, 2016). Digital stories in terms of education have the possibility of using in different discipline such as technology integration, literacy studies, teacher education, creative writing and thinking, social and cultural studies, health education, language teaching, history teaching, science and technology (Meyer & Bogdan, 2001, McLellan, 2007, Gakhar, 2007, Oppermann, 2008, Robin, 2008, Kahraman, 2013, Turgut & Kışla, 2015). Despite the fact that storytelling is an old approach, digital storytelling is seen as a new form of this old approach that has been revised and adapted to the learning features of the 21st century (Jakes & Brennan, 2005a, Sadik, 2008). Digital storytelling differs from traditional storytelling not only keep listeners in the position of listeners, but also to shape their stories and interact with their stories, on the other hand as a storytelling tool, using of information and communication technologies (Dörner, Grimm & Abawi, 2002). Self-Efficacy: Judgments of one’s own ability to perform specific behaviors and attain desired levels of performance. Self-Regulated Learning: Learning that comes from a student’s self-generated thoughts, feelings, strategies, and behaviors aimed at attaining expectations and goals. Digital Storytelling: Digital storytelling is the practice of combining narrative with digital content, including images, sound, and video, to create a short movie, typically with a strong emotional component. Motivation: The process of instigating and sustaining goal-directed activities. Self-Regulated Learners: Individuals who choose to participate cognitively, affectively, and behaviorally in their own learning process. Digital Story: Digital story is multimedia movie that combine photographs, video, animation, sound, music, text, and often a narrative voice. Learning: A process that results in stable and persisting changes in a person’s abilities, attitudes, beliefs, knowledge, mental models, and skills. Creativity: Statements, projects, or actions by students or teachers that express something new or out of the ordinary. Rubrics: Known-in-advance criteria for work given to students as part of the assessment process. Reflection: Process whereby an individual evaluates their personal learning goals and outcomes.